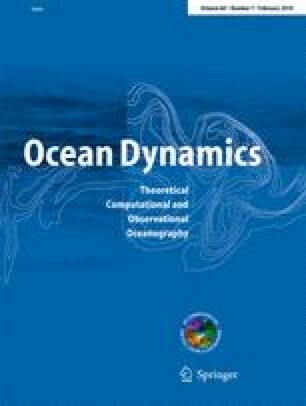 The role of oceanic tide, wind stress, freshwater river inflows, and waves in the long-term circulation and residence time in Óbidos Lagoon is investigated using a sensitivity analysis carried out by means of a two-dimensional model. MOHID modeling system coupled to Steady-State Spectral Wave model for simulate Óbidos Lagoon circulation were implemented. For residence time calculus, a Lagrangian transport model was used. Tidal forcing is shown to be the dominant forcing, although storm waves must be considered to simulate accurately the long-term circulation. Tidal forcing enhances a spatial distribution in water residence time. Renewal time scales varies from values of 2 days in the near-ocean areas and 3 weeks in the inner areas. Freshwater river inflows decrease the residence time, while waves increase. In heavy rain periods, the water residence time decreases by about 40% in the upper lagoon. When wave forcing is considered, the residence time increases between 10% and 50% depending on lagoon area. The increase in residence time is explained by the sea level rise within lagoon (~1 m above average lagoon sea level) during storm wave periods. Average residence time is 16 days for tidal forcing, 9 days when the rivers are included (wet period), and 18 days when the waves are considered. This work was carried out with the financial support of Águas do Oeste S.A (AdO), as part of the project “Monitoring and modeling the Óbidos lagoon and Foz do Arelho submarine outfall”. AdO has started on July of 2004, under its direct supervision, a Monitoring Program in the Óbidos Lagoon and coastal area with the support of Instituto Superior Técnico (IST) from the Universidade Técnica de Lisboa (IST) and Instituto de Investigação das Pescas e do Mar (IPIMAR).